Christmas Day has come and gone. Now we turn our thoughts towards a New Year and all the possibilities for change that the new year will bring. At some point, we’ve all made some New Year’s Resolutions, always with the best of intentions for keeping them up through next December. Almost invariably, though, we fail to make a lasting change. Perhaps we’re too ambitious or too unrealistic when we set our goals. Maybe we never really intend to keep the resolutions anyway. After all, it’s a lot easier to want to change than it is to actually do so. Whatever the reasons that our New Year’s Resolutions sputter out, there is always hope for a successful year. 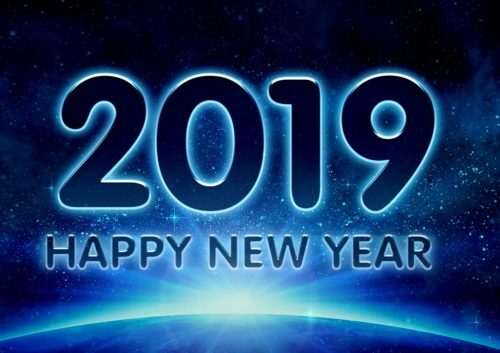 Here at the Rock Hill Coca-Cola Bottling Company, we want you to have the best 2019 that you can, so we’ve thought of a few suggestions for resolutions that might make some changes that will benefit you and the world around you. Smiling takes very little effort, but the payoff can be enormous. When you smile, you’ll feel better about yourself, your day, your circumstances. A smile can also make someone else’s day. You never know who needs to see a friendly face. Maybe a smile to the cashier ringing up your bottle of Coke will be the best interaction she has all day. Whether you’ve lived in Rock Hill all your life or you’ve just moved to town, it can be easy to take the place for granted. The area has seen tremendous growth over the past few years. Someone who moved away 15 years ago would hardly know the place now. So if you’re a long-term resident, make an effort to see some of the new developments. And if you’re fresh off the bus, take the time to explore all that Rock Hill has to offer. Set a goal to see something new each month. You’ll end the year with time well spent and a better appreciation for the Rock Hill community. Instead of focusing your New Year’s Resolution energy on yourself, resolve to make other people’s lives better. When you make someone’s day a little brighter, your day will lighten as well. Every day look for ways to help a neighbor reach his goals. Don’t let a week go by without asking about ways to be helpful. If we all look out for each other, everyone’s lives improve. At the end of 2019, our resolution can be a simple one: keep up the good work!